There is nothing new about safecracking. It’s been around as long as safes have. This post is not meant to be a definitive history of safecracking, nor a “how to”. It is merely meant to give a general understanding of the profession to the public. Safe cracking or safe opening is primarily the concern of thieves, and locksmiths. Thieves are concerned with it for the obvious reasons, but you may ask why is a locksmith concerned with safe cracking?Well, there are a number of legitimate reasons that a safe needs to be cracked. They include but are not limited to: lost combinations, safe lock malfunctions, fires, and burglary attempts. Regardless of the reason a safe needs to be opened, we are going to shed some light on a few of the methods of safe opening, or safecracking. Disclaimer: We are not going to disclose any sensitive information that would make safe owners vulnerable. We are merely going over the methods of safe opening that are commonly used by burglars and professional safe technicians. This is the oldest, most common, and yet least effective method of attack when attempting to gain entry to a safe. In my experience, this is the most common method of burglary attempts. 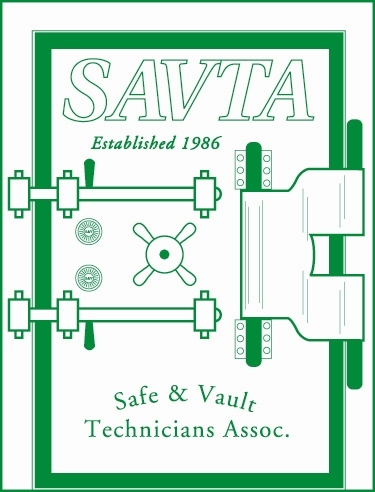 Most prying attempts don’t even come close to gaining access to a quality safe. However, when it does work, it is as simple as prying the door and the bolt work out of the door frame. Given enough strength, energy, and time, any safe could eventually be pried into, but rarely does a burglar have the time. Cutting, whether by torch or saw, into a safe is probably the most utilized method for professional criminals. In rare instances it is also a method that professional safe technicians use. While it is a sure fire way to get into a safe, it takes lots and lots of time, makes lots of noise, and is a huge mess. Many modern high security safes have a composite barrier which includes a layer of copper plate that dissipates the heat of a torch to slow down the attack. There are also many safes which employ a layer of tar in the barrier of the safe to fill the room with smoke during a torch attack. Likewise many high security safes use a combination of different materials in the barrier of the safe that will dull a saw blade in a matter of seconds, making cutting an expensive, noisy, messing, time consuming experience. Safe manipulation is the process of discovering the safes combination through the sound or touch of the safe during certain processes. 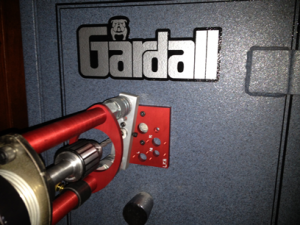 Due to manufacturing tolerances and variations many safe locks will give a very discreet sound or physical resistance when the safe wheels are being dialed a certain way. This method requires an intimate knowledge of the lock being manipulated, patience, and experience so it is only used by the most seasoned and experienced professional safecrackers. Safe technicians will commonly use stethoscopes to amplify the subtle sounds of the lock to aid in the process, as is commonly shown in movies. Most mechanical safe locks are susceptible to this attack, and while there are a handful of world renowned safe manipulators that can accomplish the task in a couple of minutes, it takes most professionals an hour or more. This is the most respected safecracking method ever because it is leaves no trace, and leaves the safe in perfect working condition and in no need of repairs. Drilling a safe is another method that is common among professional safe technicians. When the safe is equipped with electronic locks or manipulation resistant locks, drilling may be the most practical method of entry. It also requires an intimate knowledge of the lock and safe being opened. The idea is to place a tiny hole that would allow the safe to be opened through the use of a precision instrument though the hole, or so that the hole can be used to visually obtain knowledge leading to correctly dialing a mechanical safe open. While this may sound simple, there are many complications. Most high security safes employ “hard plates” or barrier materials that that will eat an entire box of drill bits in no time. Specialty drill rigs, drill bits, and drilling methods are required to breach these hard plates and barriers, and again, an intimate knowledge of the lock and container are required. Another common obstacle to drilling is a device called a “glass re-locker”. Many safe employ a sheet of glass behind the hard place that has many spring loaded re-locking bars attached to it by cable. When the drill bit strikes the glass plate it shatters allowing the re-lockers to shoot out into strategic positions blocking the bolt work of the safe and locking it down 10 times more then it was in its normal locked condition. A rare but also used defensive method is a tear gas canister that is triggered by a drilling or punching attack which then emits tear gas through the drilled or punched hole. Talk about a bad day! A drilling attempt by an untrained burglar or an undertrained locksmith often end in catastrophe. Drilling is a common practical commercial method of opening safes because simple repairs can be made to restore the container and lock to their original conditions or better allowing the safe to be put back into service, whereas cutting or prying would completely destroy the safe. Many times the hole drilled can be placed under the dial or dial ring so that when a new lock is installed there is no visible evidence that the safe had been drilled. Scoping a safe is the process of drilling a hole and inserting an expensive specialized borescope into the hole to get an intimate look into a specific part of the security container. When manipulation proof mechanical locks, and glass re-lockers are implemented as security measures scoping is the most practical option. One common method is called “scoping the change key hole.” When using this method, the safecracker will drill a hole allowing him to get his scope into a position to observe the change key hole. While spinning the dial and looking through the change key hole for certain landmarks on the combination locks wheel pack, it is possible to obtain the combination and then dial open the safe normally. This method is a choice method for professional safe specialist because it leaves the lock in good working order and only simple repairs are needed to bring the safe barrier back to its original condition. Criminals seldom use techniques like this because of the expensive tools and intimate knowledge required of the locking systems. These Safe Cracking Methods are only a brief survey of methods used to open safes without a combination. Lost or unknown combinations are not the only reason that safes need to be cracked. Many times it is due to a lock malfunction or a botched burglar attack. We did not discuss those situations due to the wide variety of lock specific failures and methods. We simply seek to illuminate the process of safecracking for those that are curious about the profession. 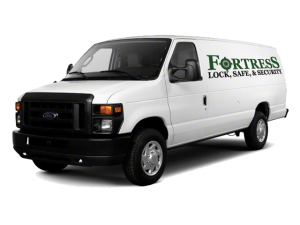 At Fortress Lock, Safe, & Security we take pride in our work and love what we do. If you have a specific safecracking need in and around Austin, TX we can be reached at 512-800-3030 .